WEwood watches are the brainchild of an Italian shoemaker who has interest to design new styles of watches, along with two other entrepreneurs who agreed with him to restore the earth we devoured in just 250 years, and they all have developed a business which has been expanded from Florence, Italy to Los Angeles and now grown in Cairo also. 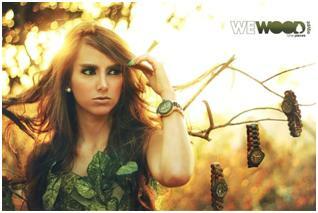 Every unique piece of WEwood watches is made of salvaged wood that would be thrown to trash as scrap material. These woods are splash proof, svelte and contain an artificial chemical. 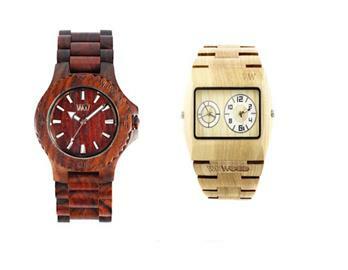 WEwood have used different kinds of wood as material source for these watches to give their natural watches a new design. Among these, WEwood watches of Indian Rosewood, Maple and Blackwood have been popular and eco-ethos of them not just ends there. When its first branch was opened in Los Angeles, WEwood teamed up with American Forests, a tree planting organization. Usually, products like these are much harder to come by in the Middle East and North Africa. There are a few cottage industries in Cairo, Luxor, and Siwa and beyond that sell sustainable goods, but rarely with such a wholesome Florentine flair and finish. So it’s very exciting to find an Egyptian dealer. That being said, quality like this doesn’t come cheap, so these watches are definitely aimed at a relatively affluent market. Whilst they’re not as grossly priced as a Rolex, they’re certainly not affordable for the average Cairene tomato vendor. These watches are increasing attention across the globe due to their distinct designing and environmentally friendly features. About seven different wood types have been used in these watches, which make the each design look different attractive to wear. The main reason of success achieved by WEwood was due to its teaming up with American forests organization and planted about 5000 tress along with this organization. We should not expect wrong, because genuinely sustainable products are priced high and this need much effort to design it. Frankly if we search about much cheap products, they will be found in China. The industry leaders and analysts are ever surprised with success of WEwood watches, although it is evident that eco-friendly watches will be more preferred by the people.